This is one of those garments that I love knitting and wearing, but that I find few chances to wear given my geographical location. 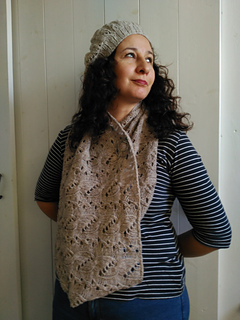 But one can always dream, and my dreams always include lace, cables and lovely wool. 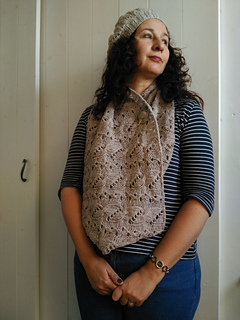 It’s knitted in the round from the bottom up, and requires around 400m of worsted weight yarn.